This year sees the event reach its 17th year and has become a firm favorite on the rally calendar. From meagre beginnings it has developed over the years and pulls in entrants and visitors from all over the country. Spread over the two Cumbrian townships of Brough and Kirkby Stephen commercial vehicles of all shapes and sizes will be on show at a number of locations. 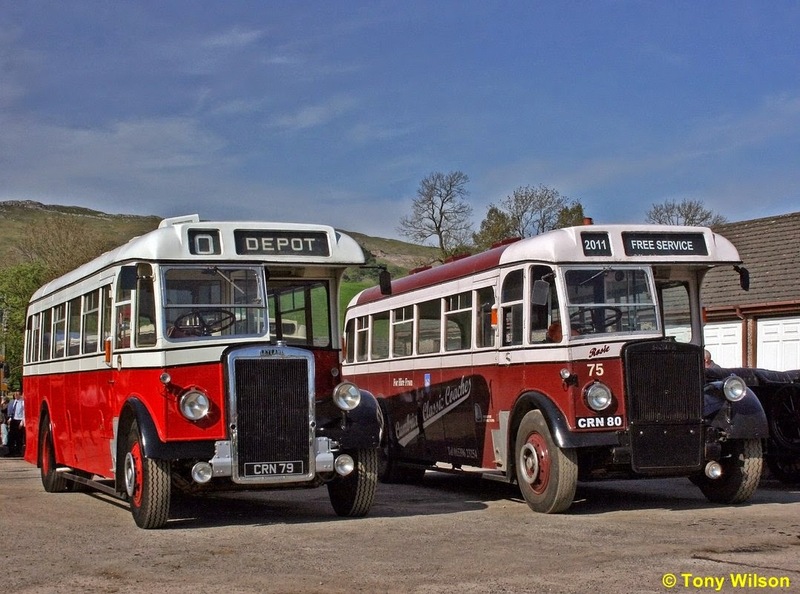 In order to cater for the expected crowds, a free bus service will operate between the main vehicle parking site at Brough beside the A66 trunk road, and the railway station at Kirkby Stephen West on the Settle & Carlisle line. A variety of buses and coaches of assorted age (as are the crews), will operate every few minutes and travel through the main thoroughfare of Kirkby Stephen, where much of the other action and entertainment will take place. As illustrated by the following images, weather can sometimes be an issue but who knows, it may prove to be a bright and sunny day. 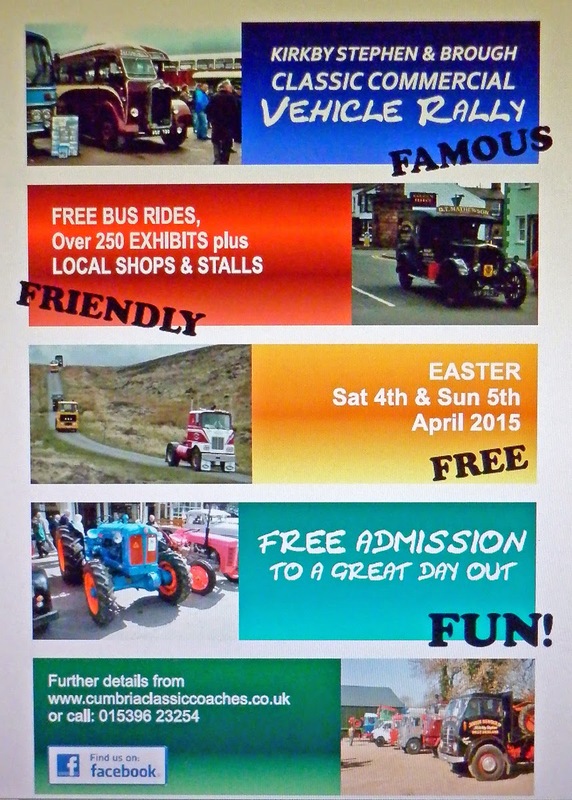 However, whatever the weather you are ensured of a splendid day out on either the Saturday or Sunday. Or maybe prolong your visit to both days. As well as the buses the event also features a fine selection of other commercial vehicles types. An extra treat is an approximately 20-mile road run on the Saturday evening. Over some interesting terrain a fair selection of the entrants participate, with some of the buses allowing the general public to hop on board and join in the fun. It commences from the Brough site around 5.00pm (check the programme), and lasts for around 2-hours.